This rekindles the hope that Dilip Kumar's ancestral home would be declared a national heritage site. A lawmaker of the party that rules Pakistan’s Khyber-Pakhtunkhwa province sought fresh proposals for preserving the ancestral home here of Bollywood icon Dilip Kumar,rekindling hope that the structure would be declared a national heritage site. Arif Yusaf,a legislator of Imran Khan’s Pakistan Tehrik-e-Insaf and the provincial parliamentary secretary for culture,visited the Indian actor’s home at Mohallah Khudadad in the historic old quarters of Peshawar this morning. The visit was arranged by the Cultural Heritage Council (CHC),a heritage organisation that has been pushing for the preservation of the homes of Bollywood stars in Peshawar. Yusaf sought technical proposals from CHC with ways and means to preserve the building. He also sought CHC’s help to identify ways to give the building the status of a “protected national monument” under relevant laws. The lawmaker said he had made the visit to see for himself the state of the building. He said he felt reassured because the building was intact from a structural engineering point of view. 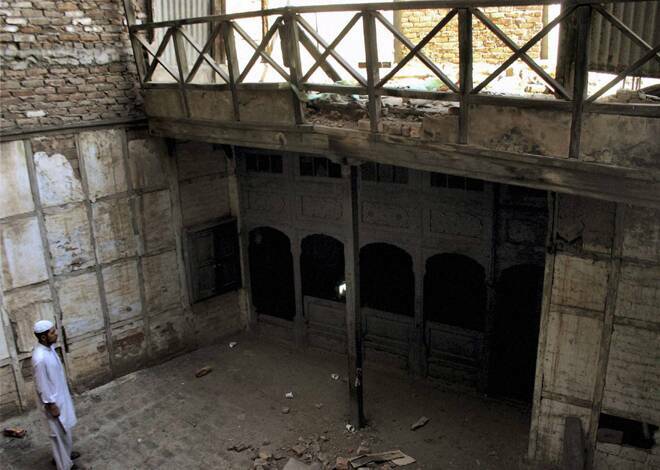 With minor conservation work,it could be restored and turned into a living museum dedicated to all cinema artists who originally belonged to Peshawar,Yusaf said. He acknowledged Dilip Kumar was a son of the soil and Peshawar was proud of the hero. 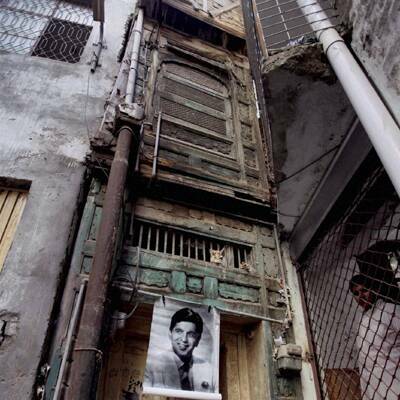 The homes of Raj Kapoor and Dilip Kumar in the city deserve to be conserved,he added. Yusaf said he will also personally take up the matter with the Chief Minister and the Culture Minister. The previous Awami National Party government in Khyber-Pakhtunkhwa had drawn up ambitious plans to preserve the homes of both Dilip Kumar and Raj Kapoor. However,an unseemly squabble between several persons who laid claim to Dilip Kumar’s home,including some of the actor’s relatives,put paid to the ANP’s plans to buy the two-storey structure. Dilip Kumar was born as Muhammad Yusuf Khan in Peshawar on December 11,1922. The son of prosperous fruit merchant Lala Ghulam Sarwar,the future silver screen icon spent several years of his childhood in the home near Qissa Khwani Bazar or the “Market of Storytellers,” where travellers and traders from across Central Asia gathered to swap tales. Raj Kapoor,the son of acting legend Prithviraj Kapoor,too was born in Peshawar in 1924. The top floor of Prithviraj Kapoor’s five-storey house at Dakhi Nalbandi,Peshawar’s highest point,collapsed years ago but 60 rooms still survive. Superstar Shah Rukh Khan’s family too hails from Peshawar and some of his cousins still live in the city. CHC general secretary Shakeel Wahidullah said several historic buildings in the province,including the homes of Dilip Kumar and Raj Kapoor,had fallen victim to decay and neglect over the years.